Well, 2016 is here! And you might have just made some well-intentioned New Year’s resolutions. If past experience has taught us anything though, it’s that talking about doing something is very different from actually carrying it out. By the end of January many of us will have left our resolutions by the wayside. Wouldn’t it be great if this year we picked a resolution we can keep? Better still, what if we picked a resolution that someone else can help us keep? At Digital Lamb, one common issue we notice about business websites (and one common issue that is so simple to fix!) is their copy. Whether you’re blogging, writing video scripts, planning podcast episodes, constructing your “About Page,” putting together e-newsletters, creating a sales page to increase conversions, or generating materials for a course, good copy (along with its best friend: design) is a point of difference between a professional online presence and ho-hum websites. Lots of businesses struggle with producing quality copy on a regular basis. This isn’t exactly surprising; after all, business owners have enough to attend to and writing for their website isn’t high on the priority list. But it should be. Why? Because it’s not hard to get sorted, and it will benefit your business in the short and long-term. High-quality and regular updates to content on your website will rank you higher in search engines, position you as an authority in your industry, and give your customers the information they need and want without them having to work hard for it. Your resolution for 2016 should be to make good copy a priority for your business. This is where we get to the part about someone else helping you to keep your resolution. Hooray! Grace will help you keep your resolution for good copy this year. She can take your thoughts, ideas, and jotted down notes and turn them into something that your customers will not only read, but also respond to and act on. Grace speaks your language, the language of the internet, and the language of your customers. So if you have something to say, and you want your customers and potential customers to hear it, why not let Grace have a shot at making it awesome? 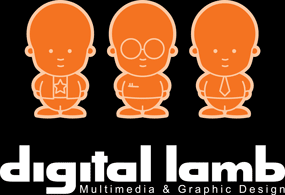 From the team at Digital Lamb we wish you a happy New Year and a well-written 2016! *Although Grace edited this copy, she did not write in the flattery of herself in the third person. That would be weird! The praise was her grateful colleagues’ input, which she greatly appreciates.